Anticipate the exhilarating life to be led in this exciting architectural of seductive drama and dazzling style. With a youthful sense of design and luxury it is ideal for many lifestyle needs. Tall windows frame the natural "still lifes" of lush gardens and courtyards, and induce a startling play of light in every room. The large living and dining areas, with great walls for art, open to one of many lovely terraces inspiring easy indoor/outdoor flow. The kitchen opens to a chic family room with gardens on both sides. The master is a private retreat with glass doors open to an enchanting private courtyard. 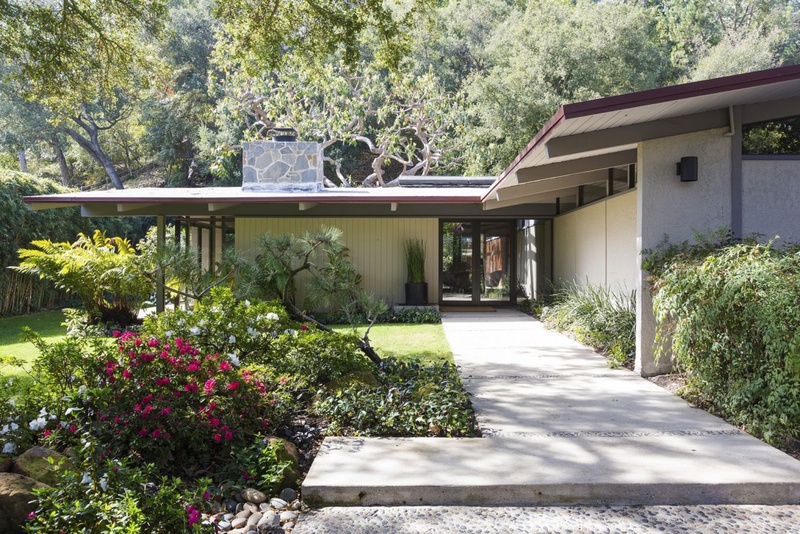 Designed by the renowned Calvin Straub, of Buff, Straub and Hensman, it is a striking, classic, mid-century, the quintessential personal retreat, a distinctive work of art offering a comfortable relaxed lifestyle. Outstanding quality throughout. A private, serene residence, for the purchaser whose perfect home acquisition must fuse art with life.